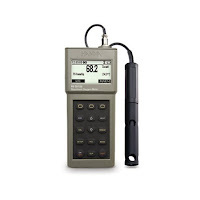 HI 98186 portable Dissolved Oxygen Meter has extended ranges of up to 50 ppm or 600% saturation. 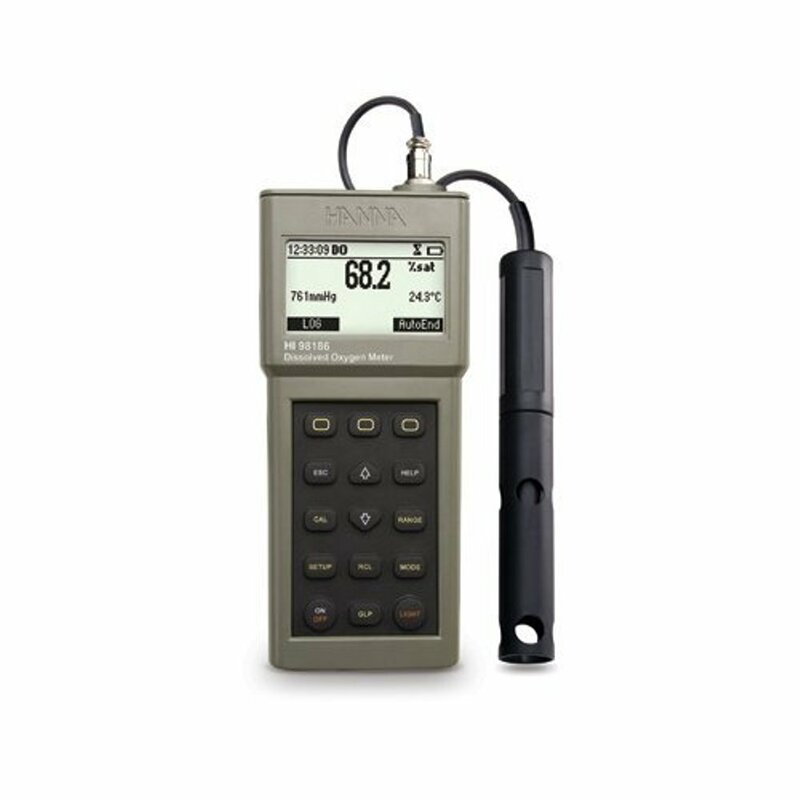 This instrument includes barometric pressure measurement and calibration with a user selectable unit (mmHg, atm, mbar, psi, kPa) as well as a 1 or point temperature calibration. Salinity, pressure and temperature compensations enhance the precision of your readings. The HI 98186s log on-demand features allows users to store up to 400 samples that can be later transferred to a PC with the HI?90013 USB cable and HI 9000 software. An Out Of Calibration Range Warning can be activated to alert the user in the event that a reading is taken too far from the calibration's periphery. A combination of dedicated and soft keys allows easy, intuitive operation in a choice of languages. Comprehensive GLP data is directly accessible by pressing the GLP key and a contextual Help menu can be access to obtain on-screen information and assistance about each feature at the touch of a button. Designed for field use, this instrument can be easily operated with one hand and is housed in a rugged carrying case. The inductive charger can either be plugged into a standard 115V socket with the adapter included or a 1 VDC source, such as a car's 1 V accessory outlet.